As many of you know, I’m a huge supporter of Cancer Research, by doing Race for Life. This is my fifth year doing it, and each year, I’ve tried to do something different – running, walking, 5km, 10km, alone and with friends. Pretty much every combination possible. I was debating on Twitter about what to do this year when I think Gemma suggested that my four feet popped down to Bristol and did it with me. They’ve known me for 20 years so knew my mum as well as I know theirs. So! On 9th June, we shall be running around the Downs for 5km – although this could change…perhaps a 3 (5 legged) race, skipping or walking backwards? We also need to find something we can all wear…my vote for dressing like the above photo was veto’ed. Damn it. What should we do? What shall we wear?! I still think we should do Wizard of Oz, there were four of them and they walked/skipped/danced and sang down the road. Do you think we could get the race people to paint the route yellow for us??? That’s a great idea bel! Who is going to be who? Dorothy, the tin man, scarecrow and the cowardly lion! I sort of have a tin woman outfit, just need a funnel, but would happily be any of them! Hayley, which is the only one you would want to be???? 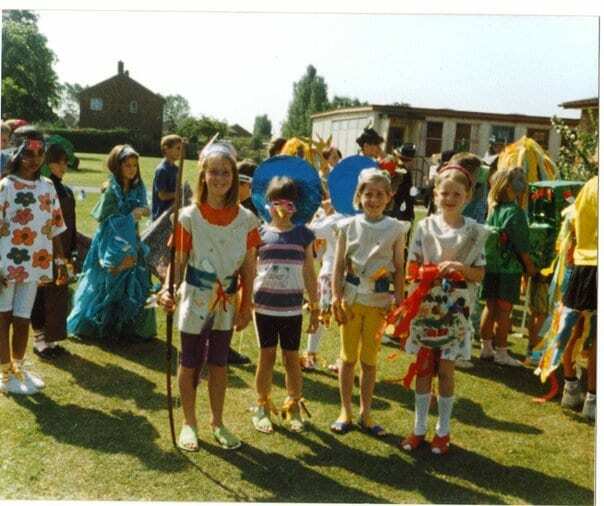 Just looked at this photo again, does no one find it odd that I was the second shortest when we were that old??? When did I grow!